The decision to utilize methadone dosing to manage opioid withdrawal is a choice that will require considerable personal commitment. As methadone dispensing for opiate addiction occurs within the structure of a methadone clinic, each patient must travel to the clinic daily to check-in and receive their medication in person under supervision. In addition to the daily commute, one must also make arrangements for payment of their methadone program fee. A majority of methadone programs across the country are private, self-pay programs. Many of them offer a variety of pay plans with a fair number of patients opting to pay their program fee each day when they arrive. That fee generally ranges from $8.00 to $15.00 per day. There are a considerable number of State and Federally subsidized methadone programs that are funded though medicaid or state dollars earmarked for mental health & substance abuse services. These programs usually have very low fees and some of them actually have no out-of-pocket cost to the patient. As one might imagine, state supported programs usually have a finite number of available openings whereas medicaid generally does not operate with the same caps and can accommodate many more patients. However, qualifying for medicaid is not necessarily easy with healthy adult males typically not meeting eligibility requirements. While methadone dosing provides effective relief from withdrawal sickness, it’s the counseling component of methadone programs that helps patients develop improved skills and a realistic plan for long term recovery from addiction. When committing to methadone treatment, patients are most excited about the benefits of methadone medication and its usefulness in eliminating the sickness of opioid withdrawal. But, it’s the participation in group and individual counseling that make the greatest difference in developing a new & improved view of one’s future and the possibilities that lie ahead. Opiate replacement medications like suboxone and methadone are an important piece of the recovery puzzle, but learning to cope with one’s feelings, thoughts, and life circumstances comes from the unique benefits of the counseling experience. Commitment to counseling and learning new skills are key elements in your pursuit of a drug free, improved life. 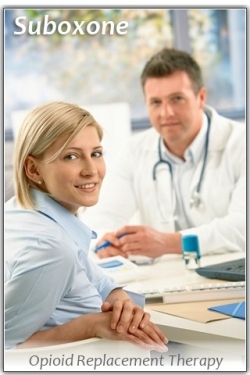 Methadone and suboxone help to remove the huge obstacle of daily withdrawal sickness. Once that hurdle has been jumped, then one can truly walk the path of recovery and discover the many good things that await along the road of life. 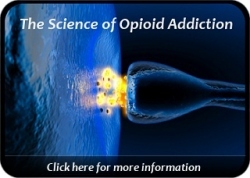 Suboxone is medically approved to treat opioid addiction and withdrawal in the United States, and opioid replacement therapy is a documented, evidence-based best practice. That being said, the city council of Bangor, Maine voted 7-2 against the expansion of opioid treatment services in Bangor that would allow existing treatment programs to offer additional Suboxone (buprenorphine) services to addicted people seeking treatment. Council members were quoted as saying that Bangor had done more than its fair share of helping the addicted population, referencing the fact that many people travel from outside the area to participate in one of Bangor’s three opioid treatment programs. This moratorium on expanding Suboxone will leave many to struggle with their severe addictions while viable opioid treatment services could be made available to help them. However, the Council wanted more time to consider whether the expansion of opioid treatment would be a good idea for the city. The temporary ban generated considerable dissension once again showcasing that fear & judgment are still barriers to treating people suffering with addictive disorders. Progress has most definitely been made over many years with the nationwide adoption of opioid replacement therapy. Nonetheless, people continue to fear and judge those things which they do not understand. Simply put, this is human nature. I reflect on past years in which family members and other non-treatment professionals came to visit our facilities, became acquainted with our staff, and gained a real understanding as to what treatment is about. Consistently, nearly all of these individuals experienced a change of heart and a new understanding. Some of them never considered that addiction would affect their family. Understanding addiction is something that a majority of individuals may not care to understand … until they have to. This, too, is human nature. 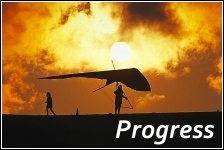 In any event, progress often has a way of moving forward despite impediments and naysayer opposition. If the need is there, then energy will collect and eventually be channeled toward fulfilling that need. Suboxone and methadone are such excellent medications when used appropriately. They meet an important need. It’s sad to say, but sometimes a problem has to “hit home” before a person comes to a new understanding. The five Bangor Council members that voted against expanding Suboxone may have never faced addiction, or the loss of a loved one, or the desperate fear & pain that an addict lives with after years of being sick. One can’t help but question the motivations and “critical thinking” of people who would vote against modern medicine and saving lives. Progress will continue, but closed minds must first be opened.